From cutting-edge medical treatments to seamless electronic record keeping, Missouri's innovative health care companies are changing the industry's landscape around the world. Some of the world's most prestigious hospitals, medical schools and health care companies call the Show Me State home. Across the state, 40 colleges and universities offer degrees in biological and biomedical sciences. Some 54,000 people are employed in the bioscience industry with more than 4,400 companies. The Missouri Biotechnology Association ranked the Kansas City region as the fifth per capita in clinical trials. And another study conducted by Harvard Business School ranked the state at No. 12 for employment in biopharmaceuticals. Companies like Pfizer, Ascension Health, Cerner, Centene Corporation, Express Scripts and many other health innovation companies call the state home and propel its reputation as a bioscience and health care leader forward. In St. Louis, Mercy Hospital opened the first Virtual Care Center in the world. With little more than a computer and broadband access, patients can be seen by physicians and receive the care they need. The four-story, 125,000-sq.-ft. center provides remote support for patients in their homes, in a physician's offices or an emergency room. The center is also a hub for the hospital system's telemedicine program including Mercy SafeWatch, which allows hospital staff to monitor patient vital signs in 30 intensive-care units in five states. Since it opened, the center has witnessed a 35 percent decrease in the length of patient stays and 30 percent fewer deaths than expected. The St. Louis hospital is the first in the Mercy system to be certified by the Healthcare Information and Management System Society as one of the world's most technological advanced hospitals. Several new expansions and relocations have been recently announced in Missouri including Spring Venture Group's new headquarters in Kansas City, Missouri. The direct-to-consumer distributor of Medicare supplement insurance has moved into its new 130,000 sq. ft. headquarters downtown and expects to add 1,000 new jobs over the next six years. Cerner, a health care information technology company also chose Kansas City to expand its headquarters. The $4.5-billion expansion in the south Kansas City area is expected to house some 16,000 employees when it is completed. The company is also expanding its 125,000-sq.-ft. North Kansas City demonstration center to the tune of $35 million. "Cerner's success continues to reflect its growth in the Kansas City area," said Victoria Rosengarten, a company representative. "This expansion will serve as an additional avenue to highlight our solutions, emphasize our mission and reflect our culture." In St. Louis, Centene Corp. broke ground in April on its new $770-million expansion. The company is the nation's largest managed care company and currently employs 1,000 people at its global headquarters in St. Louis. BlueStrata EHR, an electronic health record system company, invested $138,000 and created 52 new high-paying jobs in Creve Coeur, just outside of St. Louis. "Missouri has built a global reputation as a center of innovation and entrepreneurship," said Tony Coco, president and CEO of BlueStrata EHR. 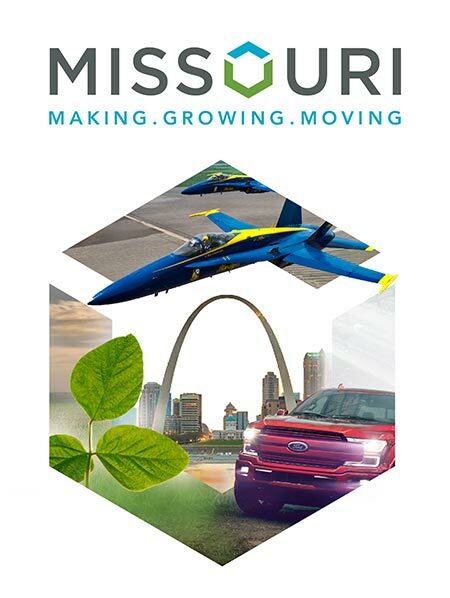 "The state's highly educated workforce, favorable business climate, along with local funding from Cultivation Capital give us confidence that Missouri is the right location for BlueStrata." The state's animal health and agtech companies are also flourishing. Aptimmune Biologics chose to relocate its headquarters from Champaign, Illinois to St. Louis' 39 North innovation district and the Bio Research & Development Growth (BRDG) Park in January. The company, which specializes in developing vaccines for the swine industry, noted financial and logistical support from investors and businesses in St. Louis as a large basis for its decision. In St. Joseph, Boehringer Ingelheim invested $80 million in its largest animal health manufacturing operation. The company's 13,000-sq.-ft. expansion adds on to its 700,000-sq.-ft. campus where it produced livestock animal vaccines. The expansion is expected to create 20 new jobs and to be completed in 2019.